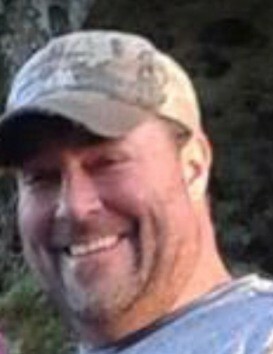 Okolona-Stephen Porter Colbert, 49, met his Creator on Friday evening, October 26, 2018 as the result of a one car motor vehicle accident in McNairy County, Tenn. A joyful soul whose laughter and smile were a part of his larger than life personality from his birth until his death, Stephen was born in Amory on May 12, l969 to Billy Colbert and Rebecca “Becky” Bean Minniece. Stephen, a lover of God’s creation and an avid duck and deer hunter, grew up in Okolona and graduated from Okolona High School in 1988. He was a Christian, grew up in the Okolona Presbyterian Church and was recently reconnected spiritually as he was finding depth, meaning and purpose through his Master in his life and the lives of others he dearly loved. His was a daily hope for a closer walk with God and the reunification of his family as a unit. A practical jokester, Stephen was up close and personal always giving bear hugs to family and friends and kisses on the cheek. He brought much joy to others lives as he daily found purpose in his. He was a skilled carpenter and spent much of his time in his life building and remodeling homes. A sports enthusiast, he loved the Ole Miss Rebels and Dallas Cowboys. A patriotic American, Stephen serviced many years in the Miss. National Guard and was federalized in the Panama Canal during the Noriega conflict. He was a member of the Order of Demolay, an encourager and a prayer warrior for those struggling with life’s trials and tribulations. His earthly pilgrimage made a difference in the lives of all and he will be sorely missed by all who loved him just the way he was. A celebration of life will be held at 2 PM today, Monday, October 29, 2018 at the Okolona Chapel of Holland Funeral Directors with Rev. Dr. Randy Lewman officiating. Jay Harrison will deliver personal reflections. Private burial will be in Chickasaw Memorial Gardens in Houston. Visitation will be from Noon-service time today at Holland-Okolona Chapel which is honored to be serving their friends. Stephen leaves his two children, Savannah Colbert of Saltillo and Chase Colbert of Tupelo; His dad, Bill Colbert of Tupelo. His siblings; Kathleen “Kay” Minniece Ashmore (Justin) of Corinth; Leigh Sharp (David) of Pontotoc, Will Colbert (Chelsea) of Mooreville and Mitch Minniece of Okolona. 5 nieces and nephews, Ella, Cole, Colte, Case and Lilly. Aunts, Uncles and a host of other relatives and friends. Stephen’s life was honored by those many family members and friends who encouraged him along the way and these wonderful souls may honor his life as being pallbearers.